Selinunte is definitely one of the best archaeological location in the world. It raises on an highland on the sea. It’s named after Selinon, the wild parsley widespread in the whole area, as much symbolic of the town as to be replicated on coins. It was founded by the Greek settlers coming from Megara Iblea. Located on the border with the western part of Sicily controlled by the Carthaginians, it did not have an easy life, especially when it decided to intensify the trade on the Tyrrhenian shore which was widening in the territory of Segesta. Selinunte and Segesta were in fact great rivals and in constant conflict. Selinunte was destroyed in the year 409 BC by Carthaginians that enslaved and killed off all the about 21.000 male citizens. The decline of the city starts from here. It was rebuilt just near Acropoli but then again occupied by Carthaginians and finally by Pirro until in the year 250 BC it was evacuated for good. Selinunte city plan is as extended as a megalopolis. It’s overwhelmed by acropolis where the archaic temples named after C and D can be seen. Otherwise, on the east side of the hill we find the sacred buildings named after temple G, E, F. The archaeological park is divided into four areas: the Gàggera hill with the sanctuary of Malophròs, acropolis with the temples and fortifications, the hill of Manuzza with the ancient residential district and finally the east side hill with few other temples. Temple C is the oldest in the acropolis and it’s one of the main example of ancient Greek architecture. It may have been devoted to Apollo. It has a peristyle of 6x17 columns and it has the traditional long shape of the archaic age, much like the temple D which was probably devoted to Athena. A sacred area with 3 more temples is placed on the west hill as well as acropolis. The most beautiful is temple E, probably dedicated to Hera. It goes up halfway through the V century BC. It has the typical long shape as well and there’s also an Adyton (a small backyard hall with entrance forbidden by the presence of the standing oracle, where just ministers were allowed). Two other structures had come to light from excavations. They belong to a previous period and it was an important finding by technicians of ancient buildings indeed. Selinunte’ s buildings were seriously damaged by several earthquakes that affected the island. In fact it was possible to restore the temple E using anastylosis method. Sculptures are collected in the National Archaeological Museum of Palermo except for the Selinunte Ephebe kept by the Museum of Castelvetrano. Tickets can be purchased at the ticket office of the Park. Free entry for European citizens under 18 and for anyone on the first Sunday of every month. Check the full list of entitled categories on the related page. Sicily. 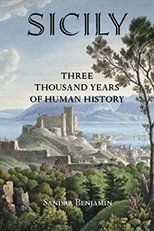 Three Thousand years of human history. Take Trenitalia line to Castelvetrano. From Castelvetrano railway station it’s possible to continue by bus or taxi. Get the bus towards Trascina di Selinunte and then keep walking for 500 mt. 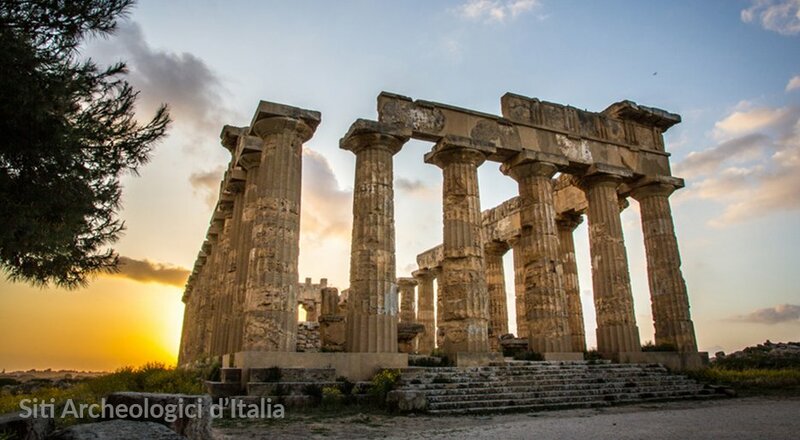 You can get the archaeological park by car from all the main cities of Sicily. From Palermo: take motorway A29 “Palermo-Mazara” gate Castelvetrano. From Trapani: take motorway A29, go over Segesta intersection and keep driving towards Mazara del Vallo, then take exit “Castelvetrano”. From Agrigento: drive along the trunk road SS 115, at the intersection of Castelvetrano-Marinella di Selinunte take the exit and continue straight on following the street signs until you reach Marinella di Selinunte. Trapani airport is the closest.